Clarity is our new user friendly, powerful, full featured charting and technical analysis package. Clarity's powerful financial charting engine was designed by traders, for traders and features charting styles such as 3D Candlesticks, Renko, Kagi, Three Line Break, Point & Figure, Candlevolume, Equivolume, Shaded Equivolume, Heikin Ashi Candlesticks, Darvas Boxes, Line Studies such as Gann Fans, Fibonacci Retracements, Speed Lines and an exhaustive list of Technical Indicators plus much more. 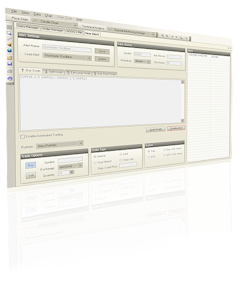 One of the most advanced features of Clarity is the built-in TradeScript scripting language. The TradeScript scripting language allows you to write complex scripts with simulated control structure for automated trading, real time alerts, scanning, back testing and more. The TradeScript scripting language is similar to the easy-to-use MetaStock™ scripting language, however it is as powerful as the TradeStation EasyLanguage™ scripting language. A 107-page programmer's guide is provided for advanced traders. 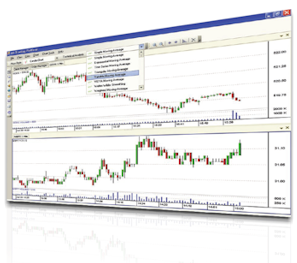 A trade-alert and automated trading screen is integrated into the Clarity platform. You can create powerful trading systems that generate orders automatically. Alerts can also be sent to any Windows Mobile device. Clarity features the world's first template-driven, fully dynamic, pattern recognition engine for identifying patterns in financial data. Our pattern recognition engine uses fuzzy logic to match dynamic patterns in stock, futures and forex data. Ships with several pre-defined patterns such as Channels, Double Bottoms, Double Tops, Flags, Head & Shoulders, Pennants, Trend, Triangles, Triple Bottoms, Triple Tops, Wedges and other patterns. 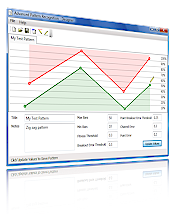 Traders can create custom patterns using the supplied pattern designer utility.